Never ending colour moves brightly in rolling flashes all over the face of this opal. The rolling flashes continually show changing colours of gem orange, green, and blue violet. 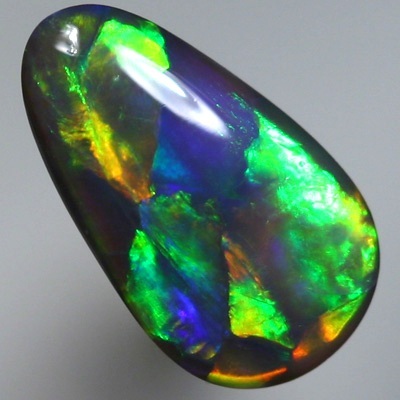 This is a pretty opal bursting with fire colours at every angle. Great in all lights.